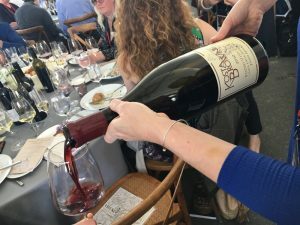 Kosta Browne Winery is crowned wine auction king for the second year in a row (at the same time celebrating 20 years in the wine making business), Silver Oak’s Cabernet Sauvignon gives Pinot Noir a run for the money, as the Sonoma County Barrel Auction breaks all records on Friday. Sonoma County’s 17 different wine-producing appellations came together to produce 90 “never before, never again” wine lots for a good cause. 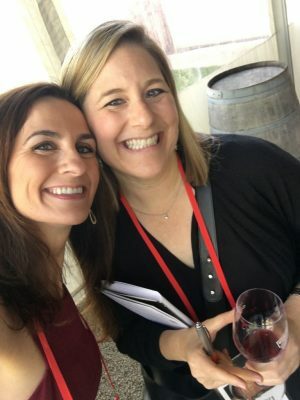 Over 250 members of the wine trade and media came together on Friday for a live wine auction at Santa Rosa’s Vintners Inn, benefiting the Sonoma County Vintner’s Association. 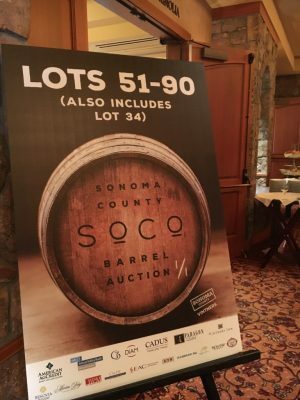 Sonoma County Vintners celebrated a successful third annual Sonoma County Barrel Auction, after 90 one-of-a-kind Sonoma County wine lots raised a record-setting $794,500. That’s more than $100,000 higher from the 2016 Sonoma County Barrel Auction. Wine Oh TV’s Monique Soltani was on hand for all the action. 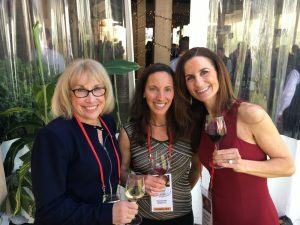 In this video she interviews the top winning winemakers at the Sonoma County Barrel Auction, as they share some insights on how to make it in the wine business. Watch the video as Monique Soltani, Sonoma County Vintners Executive Director, Jean Arnold Sessions, Dan Kosta of Kosta Browne Winery, Mark Malpiede of Williams Selyem, and Master Sommelier Laura Williamson taste and toast all things Sonoma County wine! 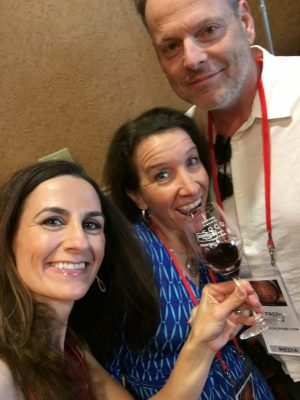 “We started the Sonoma County Barrel Auction three years ago to showcase the quality of Sonoma County wines on the world’s stage, and we are pleased that it’s become a must-attend event for national and international wine buyers. 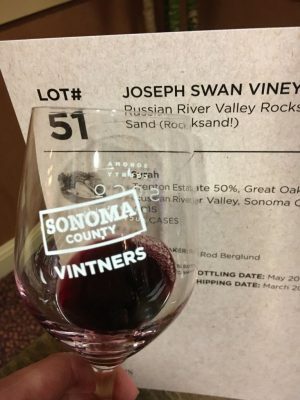 The auction’s “never before, never again” wine lots were crafted by top vintners from Sonoma County’s 17 distinct AVA appellations, and offered in quantities of five, 10 or 20 cases. All of the wines featured were made exclusively for the auction, and will be available in the market only by resale to the winning bidder’s customers. For the second consecutive year Kosta Browne had the top earning lot with “The Shire of Freestone,” a 20-case Sonoma Coast Pinot Noir lot that set a new record at $60,000. 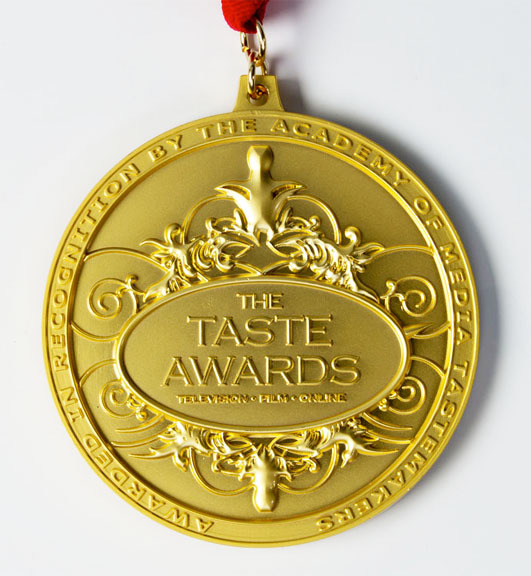 A well deserved honor for the winery celebrating 20 years of success this year. The second highest selling offering was the 20-case Silver Oak Cellars 2015 Alexander Valley Cabernet Sauvignon lot, which closed the auction on a high-note at $50,000. The third top lot was Williams Selyem Winery’s 20-case Pinot Noir, blended from three of its estate vineyards, which sold for $26,000. Ramey Wine Cellars’ 10-case “Ramey’s Heart of the Russian River Valley” Chardonnay was the top white wine at $12,500. All money raised supports the marketing initiatives of Sonoma County Vintners and its AVA partners. Next year’s auction will be held on 20 April 2018. More information on the auction and the organization can be found at www.SonomaWine.com.